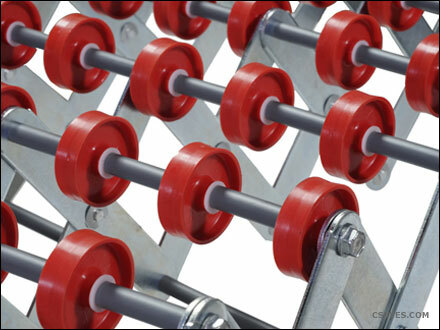 This is our red nylon skatewheel expandable conveyor with nylon bushing for high-impact, short conveyors runs. 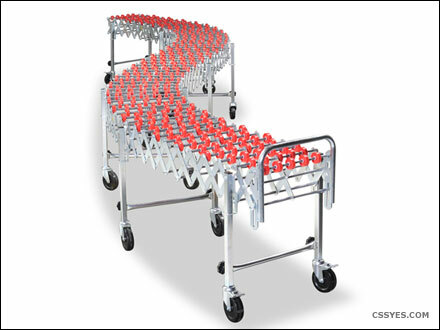 Designed to expand, contract and move easily, the 226 model with nylon wheels is a self tracking, gravity skate wheel conveyor that has a per liner foot capacity of 226 pounds. This unit is engineered to handle multi-sized cartons in low to medium volume applications. 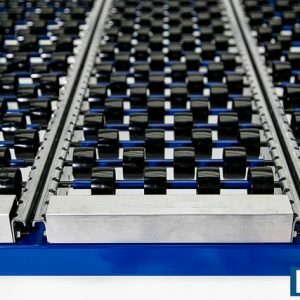 The all steel construction provides unmatched structural integrity, whether the conveyor is extended, compacted or configured in simple or compound curves. 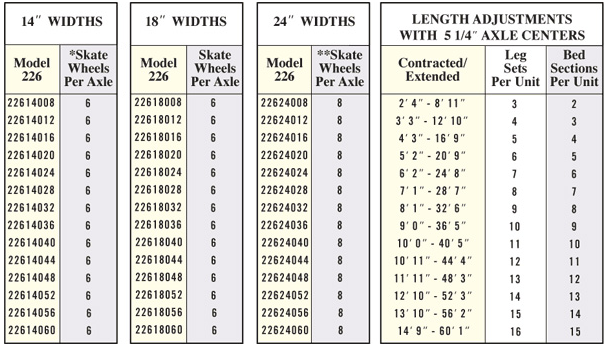 Adjustable inner legs vary height to achieve gravity flow. 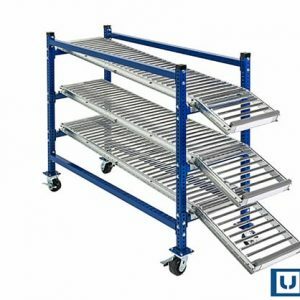 This product is the choice for use in retail store level applications, packaging areas, assembly lines and in low volume shipping and receiving departments or inside the warehouse. 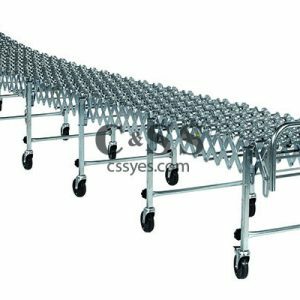 Please consult our how to order expandable conveyor page to get familiar with the main factors involving ordering this product. 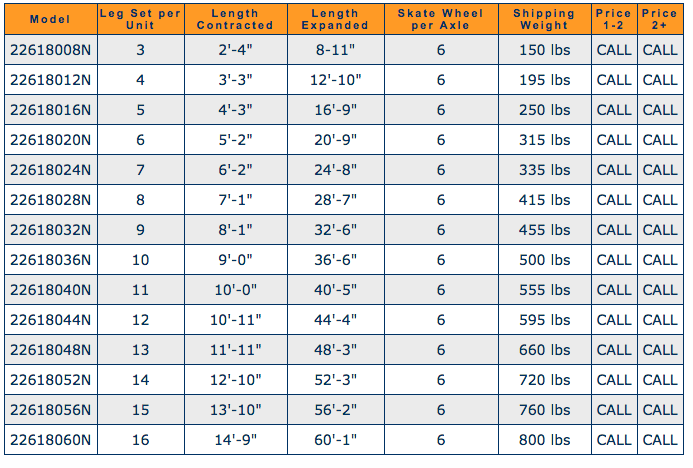 Available in 14″, 18″ and 24″ widths. 2-3 week lead time. 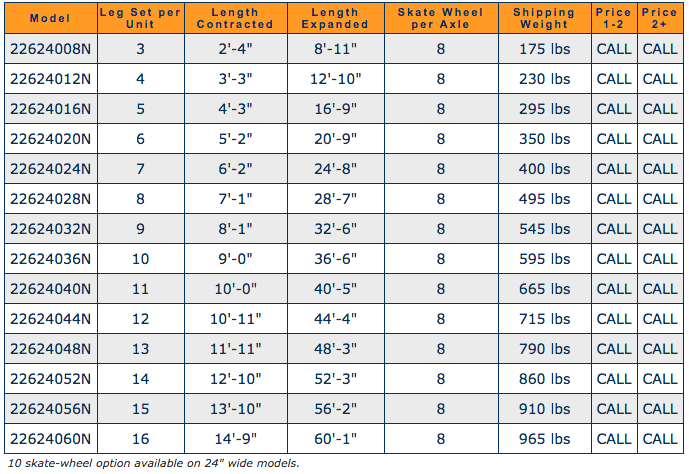 Standard axle centers are 5-1/4″, 4″ and 3″ to handle small cartons.